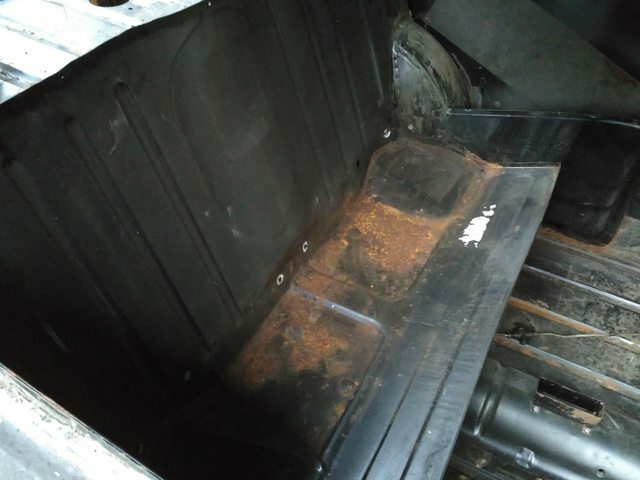 It’s time to start my (soon to be long) thread about the rebuild of my Mini saloon. I already presented it in my first post, but here will be the complete story. It’s been built in 1979, so an MK4 with a 998cc engine. 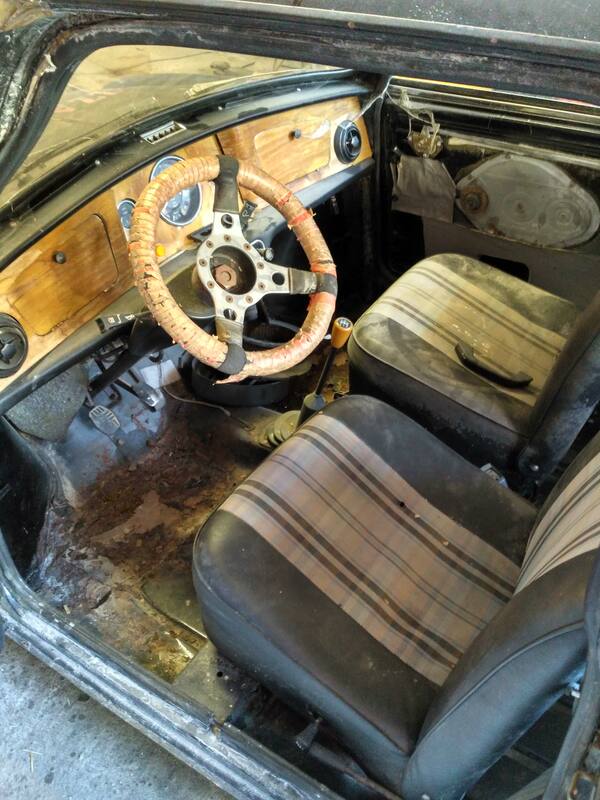 The car has been stored for this time and I brought it back to my father’s garage in August this year. 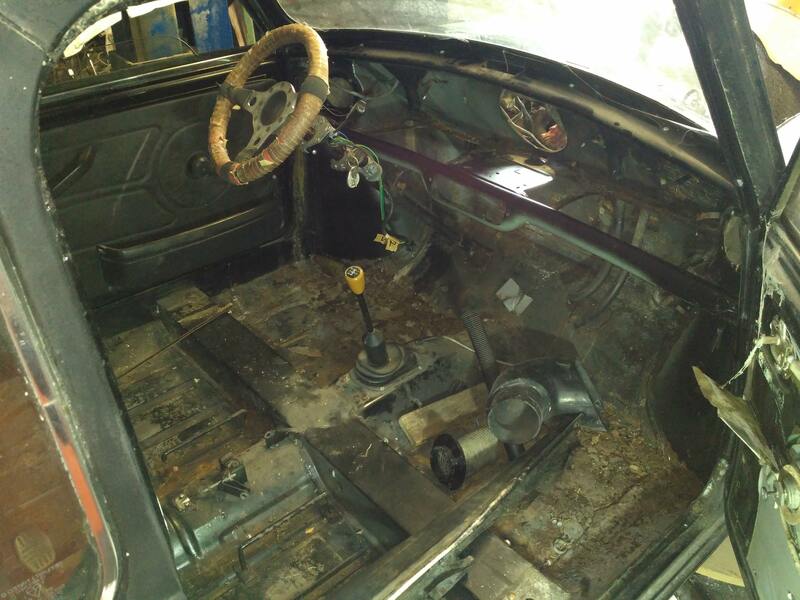 My plan is to rebuild it as original with some light upgrades like bucket seats (Cobra or similar), quickshift, Cooper S brakes and a slightly engine tuning basing on a spare engine I have. The idea is to get 60-ish HP to have a little more fun (I drove a 90’ 998cc for a while which was already very funny). For the color I want something from the time, but definitely not black or typical colors like Cooper red or blue or BRG. I’m thinking about an applejack or an orange-red. I'd like to have it finished in 2019 for its 40th birthday. That may be a little tight but let's see how I will go. I will try to post regularly but as I don't have the car where I live the updates on the car may last a little bit. Edited by Gilles1000, 13 December 2017 - 12:14 PM. 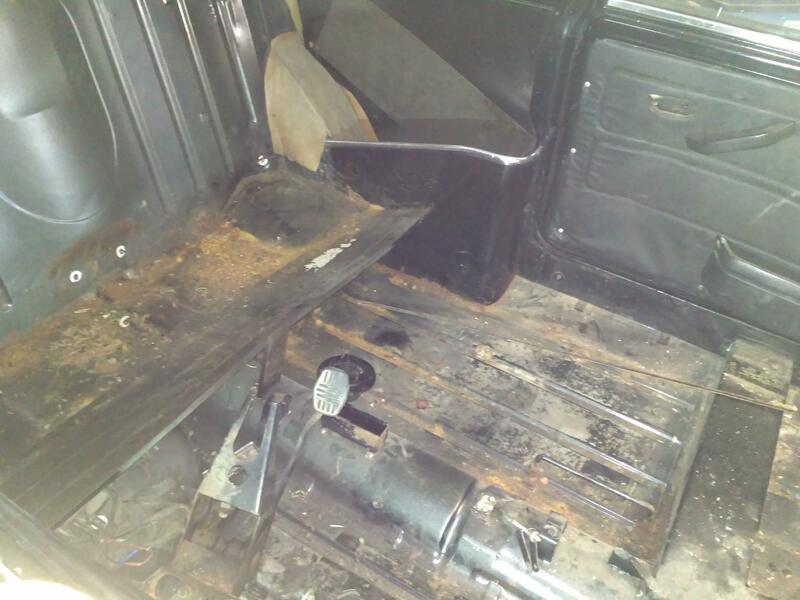 And then it started: stripping down!! Not good but I will try to bent it back before buying another one. At least the fixings do not look that bent after measuring so I still hope to get it right again. Edited by Gilles1000, 13 December 2017 - 12:21 PM. How is the bodywork looking? 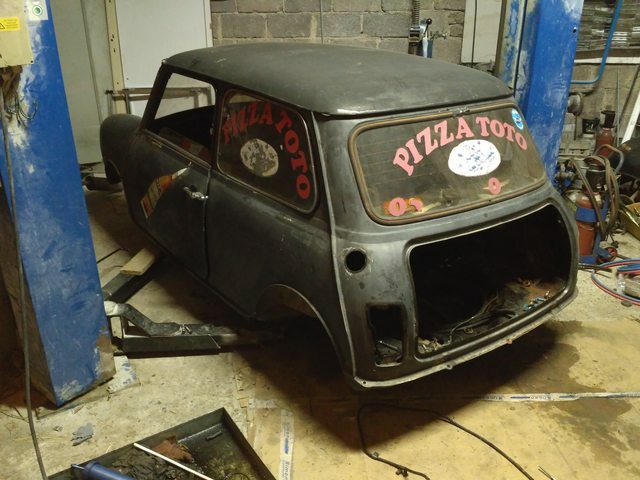 Does it need the much welding after years in the French sun? Haha you've been faster than my next reply ;), this point was coming as I am uploading pictures. As far as I could see, the body doesn't look that bad, in fact pretty good for the age of the car. 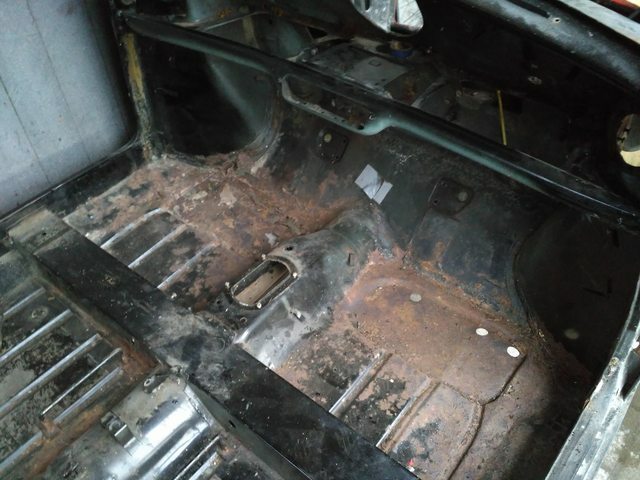 I have already planned to do both front floors as the driver's one is more like holes as metal sheet. 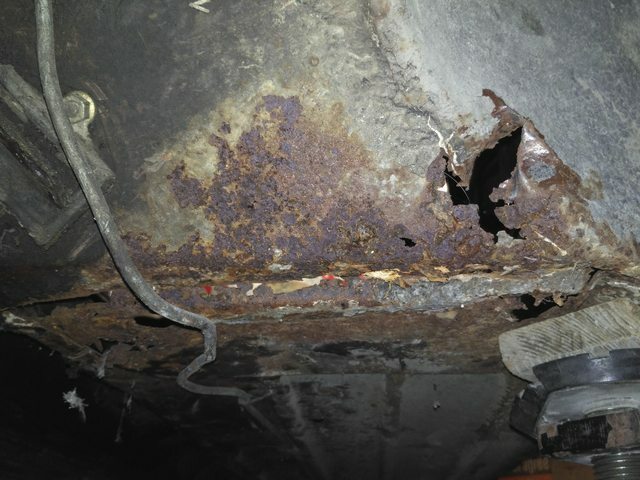 The passenger is more (deep) surface corrosion but maybe rescueable. 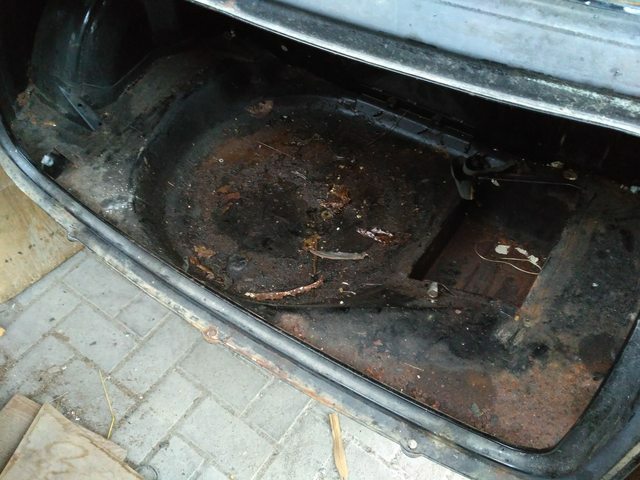 the rear floor is at the boot step nice rusted as the rear panel in that area. 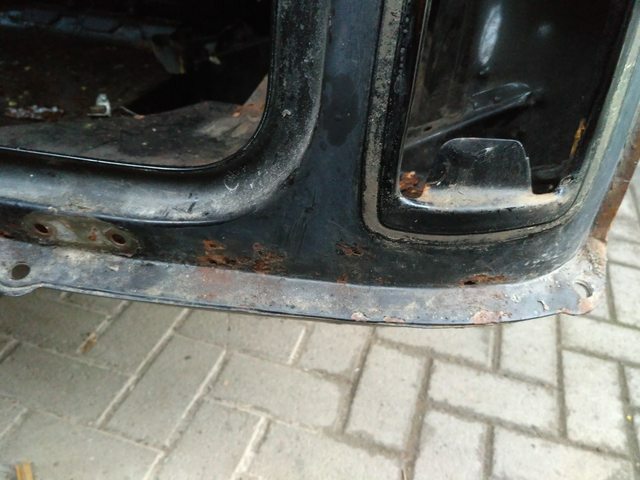 Plus some rusty points here and there which will be tricky to repare. Like A-post just under the roof and on the very bottom. 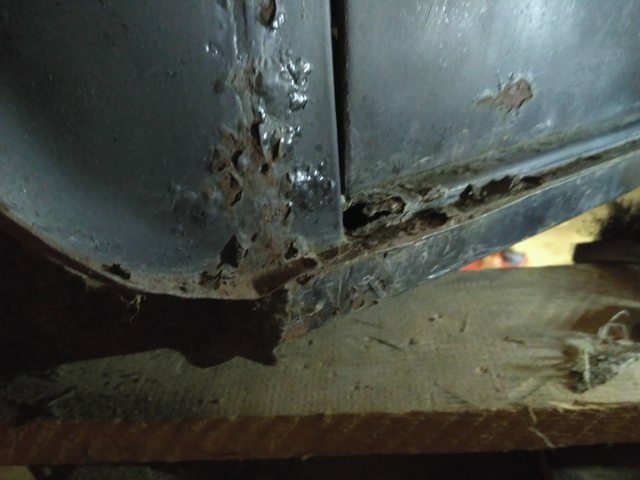 Junction between the door step and rear wing which may be ok after sand blasting, Bottom of both rear wings where they meet the rear valance are rotten. 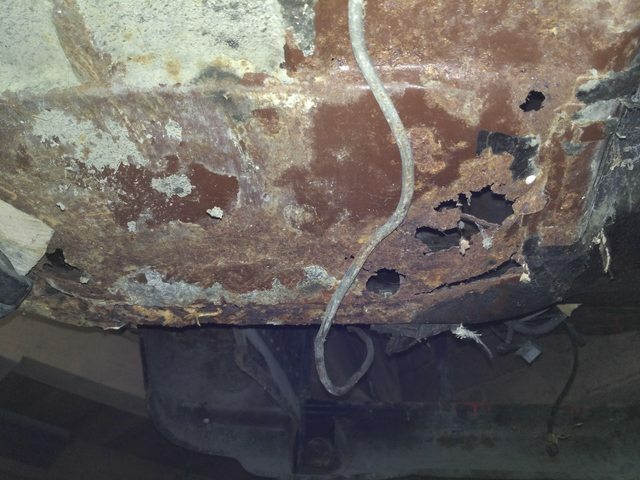 I will learn how to weld with this project!! But nothing very serious as seen on some othere projects. Edited by Gilles1000, 13 December 2017 - 12:29 PM. The bottom of the companion bins may need some welding..
That's it for the moment with body pictures, I may take some more and post them later. Edited by Gilles1000, 13 December 2017 - 12:32 PM. 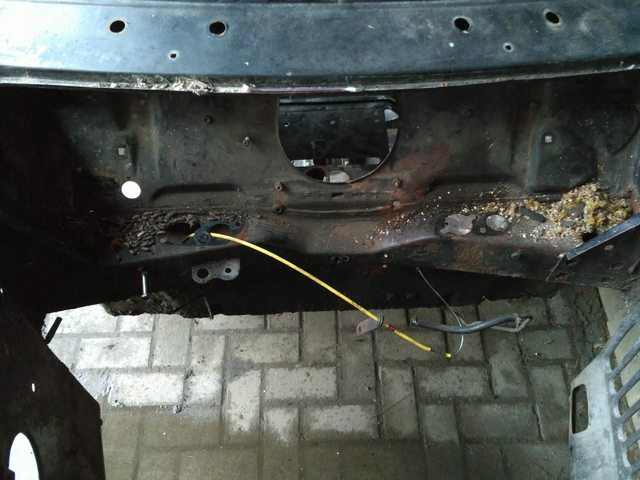 Next will be to strip the front subframe, and start to think about body preparing / paint stripping. I’m thinking about dipping the car to strip all paint and seams and underbody protection which is a pain to remove by hand. 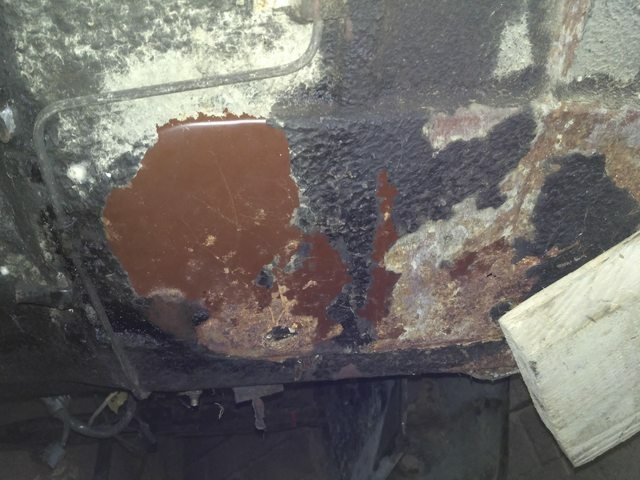 After that I will treat it with primer or phosphate acid to prevent new rust and then repair the different panels. 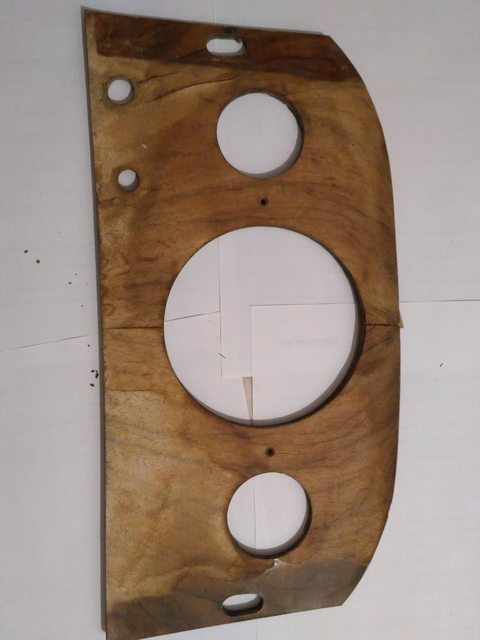 Sand blasting is dirty and may damage the body. Any idea from you to deal with the body? As I don't know yet how to continue with the body, I put it where ma dad works (there is some free storing space) to get more space to work on the frames. - an old 998cc A series which I plan to rebuild and optimize. This one is a spare I bought without even knowing the capacity and history. It turns out it should be a very old one from the end of 60s, or early 70s. No ID plate riveted but a number stamped on it. I asked Guess works to know a little bit more but they couldn’t help me. 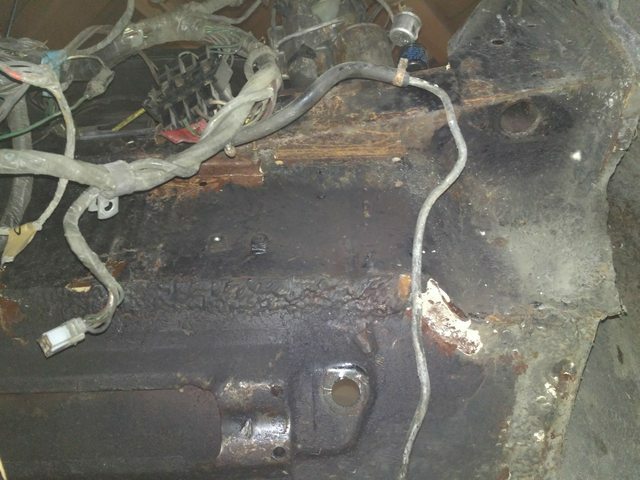 Or maybe I’ll take the original engine from the car. - the engine I put out of the car, 998 A-series too. 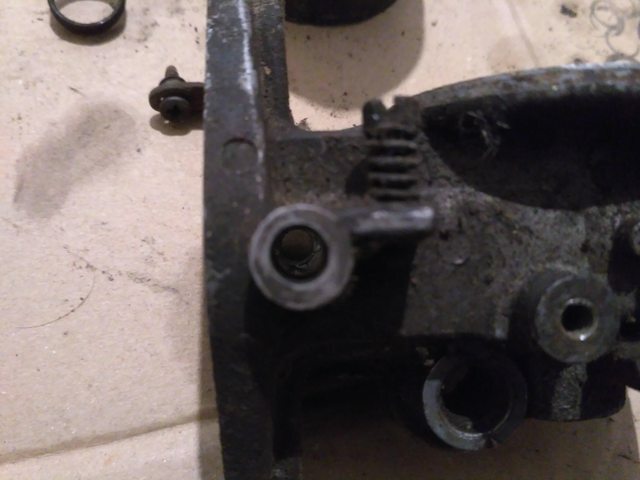 My idea is to balance moving parts, maybe build flat top pistons to go with a 997 cooper head which I already have and therefore upgrade the CR and flow compared to a stock 998 head. New cam, sthg like SW5, new valve springs. 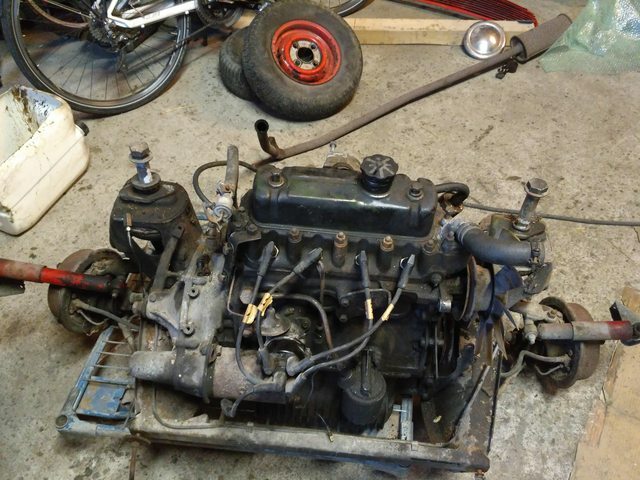 Of course a stage 1 kit, but with a double HS2 carbs I am currently cleaning. So no big mods compared to a stock engine. Everything what can be built back to original specs. Nice project and love it was used for pizza delivery. The shell looks pretty good to me. I like 998's. 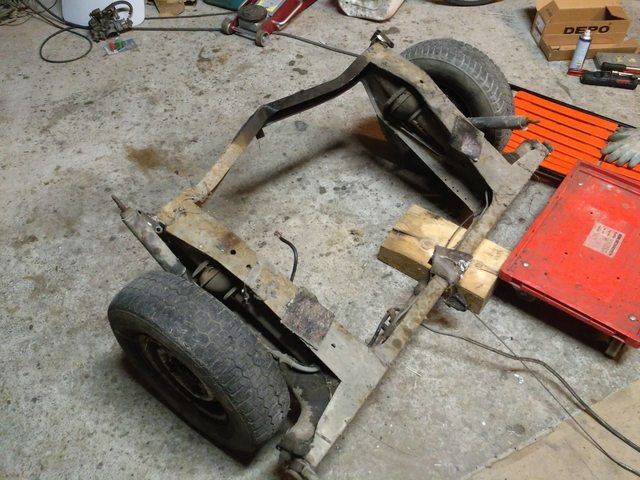 I'm building one at the moment for my project car. 50 - 60 hp will be fairly easy with flat top pistons and a 998 cooper head. Just make sure you get the compression ratio right as 998 coopers had raised top pistons. 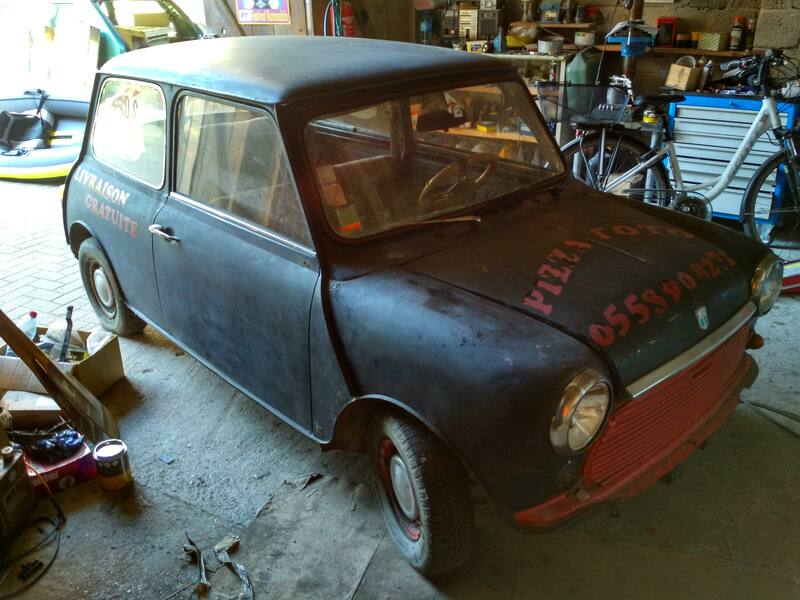 Nice little mini you have there! I'm not that far from you, but on the other side of the frontier (CH) down south from you, maybe I'll finish mine at the same time if I'm lucky. Hehe I thought for a moment to let it with its "racing" colors, but the big problem is I would have to find new stickers!! They may get an mail with a picture one day, or even a visit!! For the moment as I can’t work under the week on the car or the bigger parts, I am bringing smaller bits to my flat in order to clean and rebuild them. 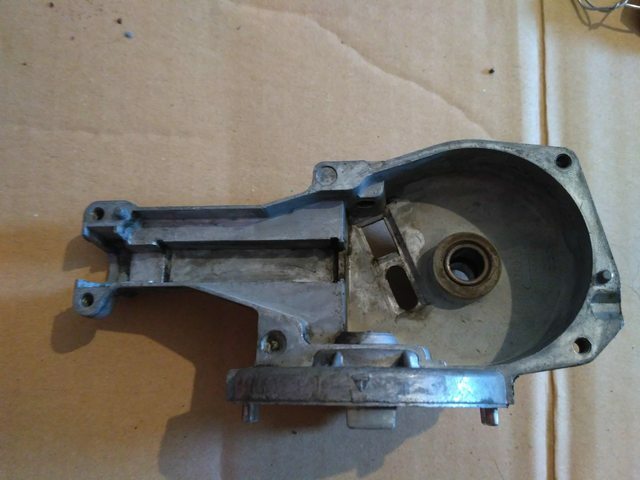 I already dismantled, cleaned and controlled the wiper unit, it’s now clean (I bought an ultrasonic cleaner, that's great for small parts like aluminium housings) and ready to be rebuilt. 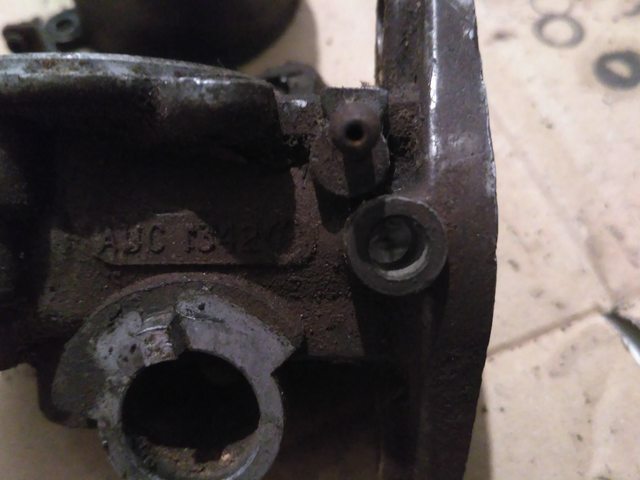 Maybe the connector will have to be changed but that is a smaller problem. 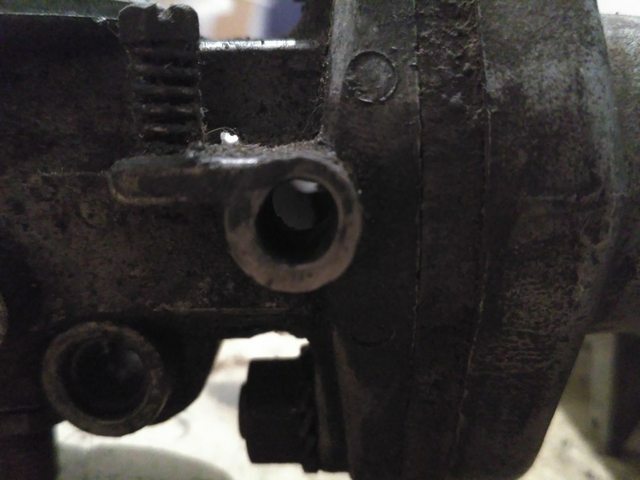 I worked on the alternator as well, and unfortunately I missed a ring in the front housing resulting in breaking it… That will cost me a new alternator… Damn it. 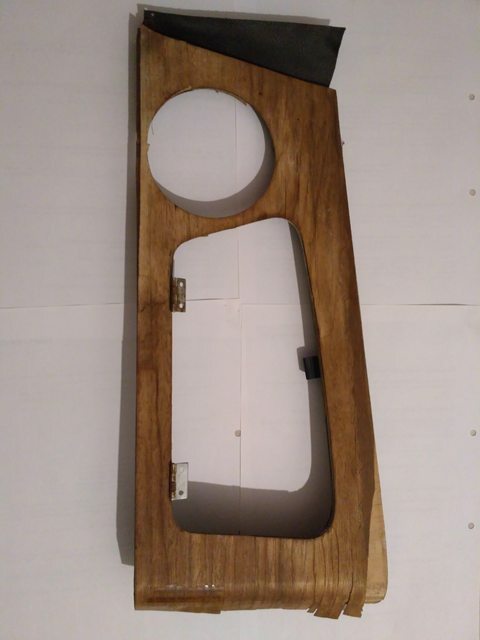 I am currently trying to save the dash as the different wood layers have suffered from the years, maybe I will have to buy another one as it is quite damaged. Edited by Gilles1000, 13 December 2017 - 12:38 PM. checking the wiring loom !! 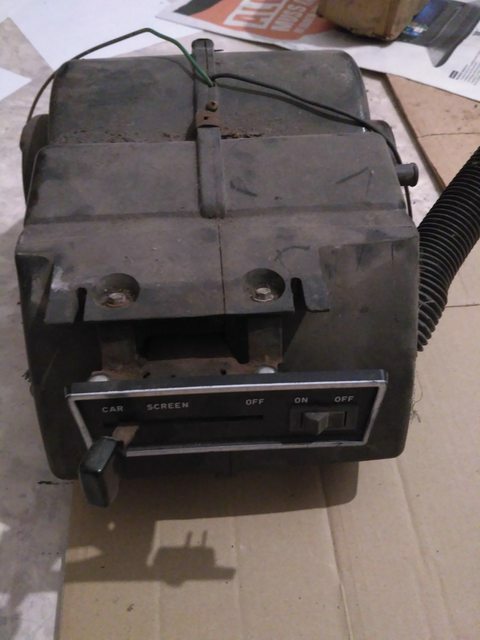 my heater unit which is from my previous Mini 90’. 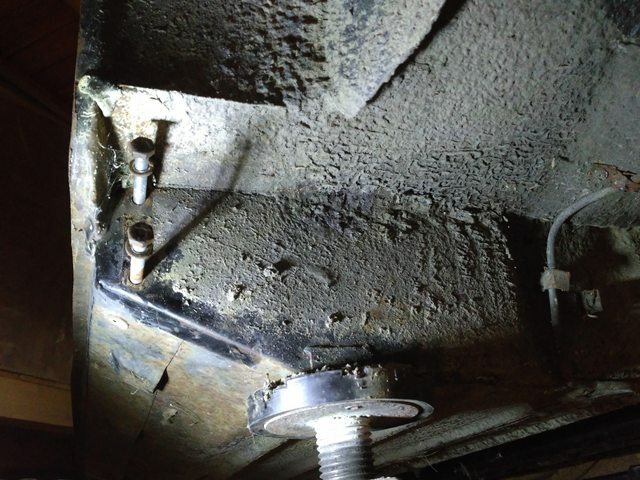 This one is leaking, but the car run, the one from the black was OK and the car didn’t run. Easy thought: Take the one from the black Mini, and change it with the other one. Job done, ran well. 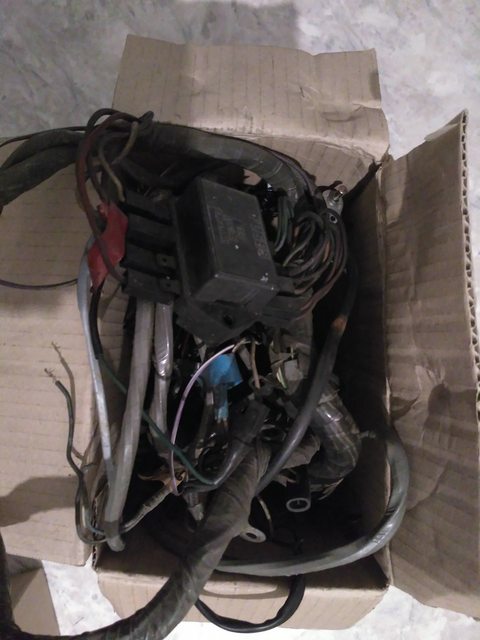 But now I’m left with a leaking heater for the car I am restoring… Fortunately it should fit as there are both post MK3 cars. I assume this is the typical place where it leaks, I will have to check it. Edited by Gilles1000, 13 December 2017 - 12:41 PM.